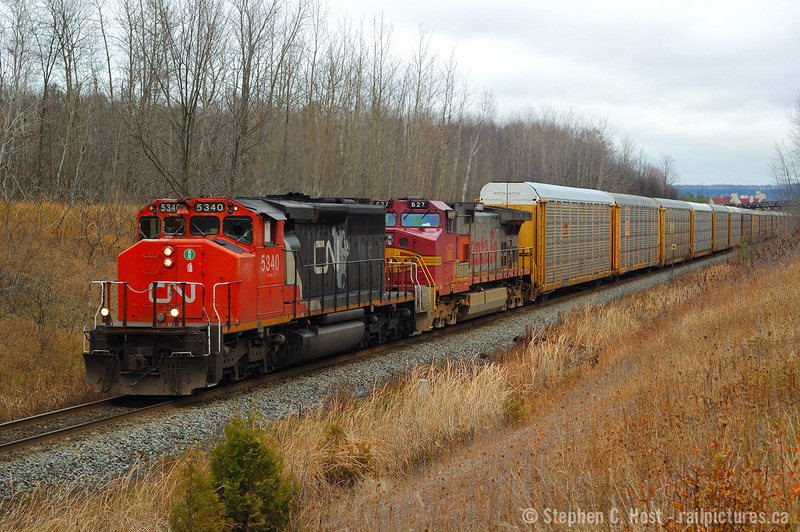 Railpictures.ca - Stephen C. Host Photo: Mile 30, a famous spot for us ‘fans and on November 12 2006 I went out on a lark and photographed only two trains. This was one of them and while at the time, I would have said ‘wrong leader’ – my slightly older self now says ‘right leader’. The train is 422 and of course this sounded really good. These were golden days. | Railpictures.ca – Canadian Railway Photography – photographie ferroviaire Canadienne. Caption: Mile 30, a famous spot for us 'fans and on November 12 2006 I went out on a lark and photographed only two trains. This was one of them and while at the time, I would have said 'wrong leader' - my slightly older self now says 'right leader'. The train is 422 and of course this sounded really good. Also enjoy the extra class lights lit up. These were golden days. That’s how it was back in ‘06….raw FPON. Those were indeed the golden days. Virtually unspoiled SanteFe (just BNSF under the cab numbers), super nice. It really tops the leasers we have been shooting this summer.